Balance is the most important area of one's internal martial arts training. Without it, you have nothing, no healing benefits and no self-defence benefits. However, 'balance' means much more in the internal martial arts than simply being able to stand on one leg! In fact a person who for some reason cannot do this may well be perfectly in balance. I mean that we must be balanced internally in order to gain the great benefits that we are supposed to from the practice of Taijiquan and Baguazhang. So where does one being to get balanced. 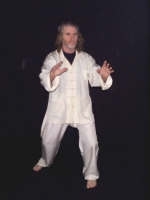 Qigong is the starting point as 3 circle standing Qigong is one of the most powerful exercises when done correctly! And there are not many doing it correctly. 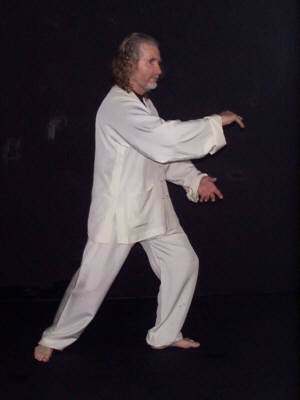 Then we have the Qigong moving exercise of Taijiquan or Baguazhang. However, we must begin by getting our six main body parts into balance. 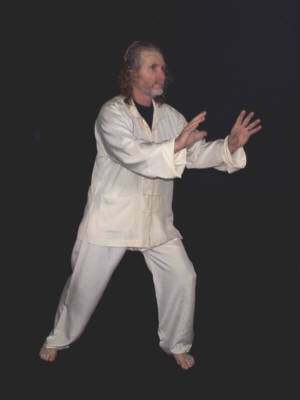 And this simply involves keeping the body in alignment and sticking to the basic Taijiquan Classics. (These also hold true for Baguazhang as far as balance is concerned). I have a new video title that shows all of these balanced pairs and their corresponding organs/meridians and what postures from Taijiquan represent these balanced pairs. MTG192 is the title. 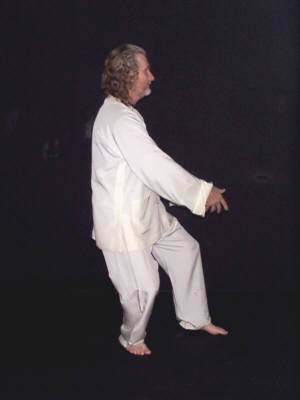 One of the main rules in balancing your tai chi and bagua forms is that in Taijiquan in particular, when the left foot for instance is 'Yang' then the left hand should be 'Yin' relative to the same foot and visa versa. And there are no exceptions to this rule even though it might seem as if there is. This is the main area that most people get wrong or do not even know about. Most people know that we must never have double weighted feet, where the weight is evenly distributed between the both feet. However, you must also have this aspect of no double weighted movements in the hands and also in the rest of the balanced pairs so that eventually we get back to a perfect balance internally of yin and yang which is the beginning of getting back to good health. We become ill because our internal energy is our of balance and this is caused through wrong living habits such as eating too much of the wrong or right food! Having bad thoughts and simply allowing unnecessary tension to creep into our daily lives. I say 'unnecessary tension' because some tension is good and is necessary at certain times but not all the time as this in itself puts the body out of balance. We can use the postures from the Taijiquan form to look at these balanced pairs. 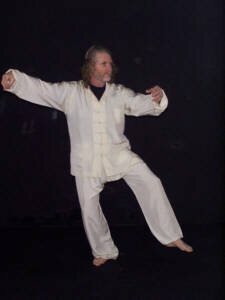 For instance the posture known as 'Brush Knee & twist Step' from both the Old Yang style of Yang Lu-ch'an and the new Yang Style of yang Cheng-fu is the epitome of hands and feet balanced with stomach and spleen. What the hands do so does the feet. So when for instance we turn weighted on the front foot to go into the next BKTS movement and we turn the front toes out by 45 degrees, (remember that this movement is almost always done incorrectly when people sit back even a little in order to turn the toes out! This is NOT Taijiquan! It should be a weighted (on the heel) turn), the opposite palm also does this turn. Notice in Photo No. 1 that the right palm is bent at the wrist in just the same way that the left foot is. The posture known as 'Single Whip' is the epitome of the 'elbows and knees' being in balance corresponding to the Kidneys and Bladder. In order to get this posture correct stance wise, we must have the left elbow in line with the left knee as we come around to go into the posture. So that when the left wrist is pointing to the West, and provided that the left elbow is in line with the left knee, we then place the left heel and this gives us the correct distance apart for the heels which is NOT a bow stance! Photo No. 2 for getting into Single Whip. Look at the posture called "Step back and Repulse Monkey' from both forms. See that the front palm (in this case the right one) is yang while the left palm in yin. But also, the front foot is yin and the rear foot in yang! We can use any of the normal bow stance postures to demonstrate the hips and shoulders being in balance. Most people get this wrong tending to lift the left hip when the right foot is forward and visa-versa as in Photo No. 3 (This is incorrect!). Now see Photo No. 4 doing it correctly with the hips and shoulders in alignment and the same distance apart on each side. Any of the postures such as needle at sea bottom can be used to demonstrate the coccyx and back of the head being in posture, however, ALL Taijiquan postures should have this aspect. In fact ALL of the postures should of course have all six pairs balanced, it's just that you can see the balance using certain postures for the different pairs. Photo No. 5. Notice that the back is not only straight, it is vertical! If you begin getting only the hands and feet correctly balanced then you will off to a good start in getting the six balanced pairs balanced and in doing so enhance your Taijiquan practice.